In my previous article dealing with destabilization mechanisms and color revolutions entitled “The History and Science of Color Revolutions, Part 1,” I briefly discussed the history of the theory behind such mass movements and the related mobilizations of “swarming adolescents” as well as the purposes for which color revolutions are generally deployed. Whenever one discusses color revolutions, however, it is important to understand that this tactic is not merely a recent invention on the part of the ruling elite. 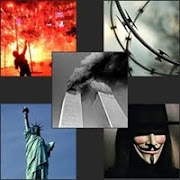 In fact, this particular method of destabilization has quite a long history, having been perfected in the late 1960s and refined into an art form as time has progressed. It is also extremely important to understand how color revolutions work, as well as how these methods are successfully deployed. Such an understanding is particularly relevant if one wishes to combat or, at the very least, avoid the tragic results of color revolutions in their own country or the propaganda narrative surrounding those revolutions in another part of the world. With this in mind, Jonathan Mowat’s excellent article, “The New Gladio In Action: ‘Swarming Adolescents,’” which I cited at length in my last article, goes into the recent history of color revolution tactics along with a brief discussion regarding the history of some of its individual and organizational players, most notably Gene Sharp, Bob Helvey, and The Albert Einstein Institution. Still, it is important to understand that these individuals and organizations are by no means the pinnacle of international destabilizations and color revolutions nor are they the sole facilitators of it. The creation and deployment of coups of any kind requires agents on the ground. The main handler of these coups on the "street side" has been the Albert Einstein Institution, which was formed in 1983 as an offshoot of Harvard University under the impetus of Dr. Gene Sharp, and which specializes in "nonviolence as a form of warfare." Dr. Sharp had been the executive secretary of A.J. Muste, the famous U.S. Trotskyite labor organizer and peacenik. The group is funded by Soros and the NED. Albert Einstein's president  is Col. Robert Helvey, a former US Army officer with 30 years of experience in Southeast Asia. He has served as the case officer for youth groups active in the Balkans and Eastern Europe since at least 1999. Col. Helvey reports, in a January 29, 2001, interview with film producer Steve York in Belgrade, that he first got involved in "strategic nonviolence" upon seeing the failure of military approaches to toppling dictators—especially in Myanmar, where he had been stationed as military attaché—and seeing the potential of Sharp's alternative approach. According to B. Raman, the former director of India's foreign intelligence agency, RAW, in a December 2001 paper published by his institute entitled, "The USA's National Endowment For Democracy (NED): An Update," Helvey "was an officer of the Defence Intelligence Agency of the Pentagon, who had served in Vietnam and, subsequently, as the US Defence Attache in Yangon, Myanmar (1983 to 85), during which he clandestinely organised the Myanmar students to work behind Aung San Suu Kyi and in collaboration with Bo Mya's Karen insurgent group. . . . He also trained in Hong Kong the student leaders from Beijing in mass demonstration techniques which they were to subsequently use in the Tiananmen Square incident of June 1989" and "is now believed to be acting as an adviser to the Falun Gong, the religious sect of China, in similar civil disobedience techniques." Col. Helvey nominally retired from the army in 1991, but had been working with Albert Einstein and Soros long before then. Reflecting Albert Einstein's patronage, one of its first books was Dr. Sharp's "Making Europe Unconquerable: The Potential of Civilian-Based Deterrence and Defense," published in 1985 with a forward by George Kennan, the famous "Mr. X" 1940's architect of the Cold War who was also a founder of the CIA's Operations division. There, Sharp reports that "civilian-based defense" could counter the Soviet threat through its ability "to deter and defeat attacks by making a society ungovernable by would be oppressors" and "by maintaining a capacity for orderly self-rule even in the face of extreme threats and actual aggression." He illustrates its feasibility by discussing the examples of the Algerian independence in 1961 and the Czechoslovakian resistance to Soviet invasion in 1968-9. In his forward, Kennan praises Sharp for showing the "possibilities of deterrence and resistance by civilians" as a "partial alternative to the traditional, purely military concepts of national defense." The book was promptly translated into German, Norwegian, Italian, Danish, and other NATO country languages. See the link to the Italian translation of the book (Verso un'Europa Inconquistabile. 190 pp. 1989 Introduction by Gianfranco Pasquino) that sports a series of fashionable sociologists and "politologists" prefacing the book and calling for a civil resistance to a possible Soviet invasion of Italy. Such formulations suggest that Albert Einstein activities were, ironically, coherent (or, possibly updating) the infamous NATO's "Gladio" stay-behind network, whose purpose was to combat possible Soviet occupation through a panoply of military and nonmilitary means. The investigations into Gladio, and those following the 1978 assassination of former Prime Minister Aldo Moro, also shed some light (immediately switched off) on a professional apparatus of destabilization that had been invisible for several decades to the public. It is noteworthy that the former deputy chief of intelligence for the US Army in Europe, Major General Edward Atkeson, first "suggested the name 'civilian based defense' to Sharp," John M. Mecartney, Coordinator of the Nonviolent Action for National Defense Institute, reports in his group's CBD News and Opinion of March 1991. By 1985, Gen. Atkeson, then retired from the US Army, was giving seminars at Harvard entitled "Civilian-based Defense and the Art of War." The Albert Einstein Institution reports, in its "1994-99 Report on Activities," that Gen. Atkeson also served on Einstein's advisory board in those years. Following his posting as the head of US Army intelligence in Europe, and possibly concurrently with his position at the Albert Einstein Institution, the Washington-based Center for Strategic and International Studies (CSIS) reports that Gen. Atkeson, who also advised CSIS on "international security," served as "national intelligence officer for general purpose forces on the staff of the director of Central Intelligence." A 1990 variant of Sharp's book, "Civilian-Based Defense: A Post-Military Weapons System," the Albert Einstein Institution reports, "was used in 1991 and 1992 by the new independent governments of Estonia, Latvia, and Lithuania in planning their defense against Soviet efforts to regain control." As we shall see below, with such backing, Col. Helvey and his colleagues have created a series of youth movements including Otpor! in Serbia, Kmara! in Georgia, Pora! in Ukraine, and the like, which are already virally replicating other sects throughout the former Soviet Union, achieving in civilian form what had not been possible militarily in the 1980s. The groups are also spreading to Africa and South America. Achieving in civilian form what had not been possible militarily is the whole purpose of the color revolution, despite the fact that military involvement may follow the initial destabilization campaign. Learning the ins and outs of the color revolution technique, however, will provide a much needed service in terms of preventing that goal from being met. Mowat, Jonathan. “A New Gladio In Action.” Online Journal. Reposted by ColorRevolutionandGeoPolitics.blogspot.com. Accessed on July 3, 2013. See also: Tarpley, Webster G. Obama: The Postmodern Coup. Mowat, Jonathan. “A New Gladio In Action: ‘Swarming Adolescents.’” Progressive Press. 2008. Pp. 243-270. See also: Tarpley, Webster G. Obama: The Postmodern Coup. Mowat, Jonathan. “A New Gladio In Action: ‘Swarming Adolescents.’” Progressive Press. 2008. Pp. 248-250.